Mark your calendars and don’t miss the 2018 Word Camp Miami Kids Camp! This year Word Camp Miami is Saturday and Sunday, March 17 & 18th, 2018 at FIU School of Business, 11200 SW 8th St, Miami, FL 33174. 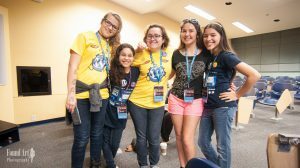 Kids Camp at Word Camp Miami is offering two tracks this year – one for younger children new to blogging and Word Press, and one for teens that will cover building an e-commerce site and learning how to use Word Press to launch an online business (more info below the video). Tickets for Kids Camp is $7.50 for particpants, and $8.00 for parents (includes lunch and swag; more details below). Children must be accompanied by a parent. Click here to purchase a ticket to Kids Camp. Watch this video from last year’s Kids Camp to get an idea of what goes on during Kids Camp. WordPress is an online, open source website creation tool written in PHP. It is the easiest and most powerful blogging and website content management system (or CMS) in existence today, and it is FREE. 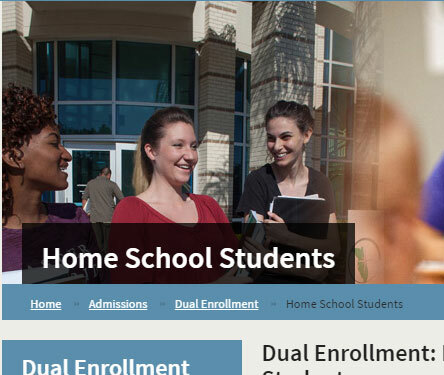 How Can WordPress Enrich My Homeschool? To begin with, learning to blog with WordPress is a great way to teach children how to use an industry standard in website creation. It’s a great springboard for learning other types of code, web design, and web development. Some parents use WordPress blogs to upload all of their children’s work as an online portfolio. This can make annual evaluations a breeze. 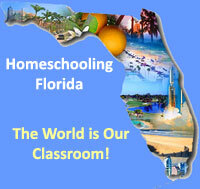 Other parents use WordPress to help organize their homeschool and rant blog about it. If your child is a beginning writer, or even a reluctant writer, creating a blog is a great way to kickstart their writing. You can create a photo blog, where you showcase your child’s pictures and they write the captions. Don’t be surprised when those captions get longer and longer 😉 You can share your blog address with family and friends which can encourage your child to write even more. If your child is interested in learning how to code, then Word Press is a great place to start. It is free, open source, and an industry standard in web development. If your child is a budding entrepreneur, or wants to learn about e-commerce, then Word Press is the easiest and simplest way to learn how an online store works. This year’s Kids Camp is bigger and better! This year, WordCamp Miami is breaking up kid’s activities on Saturday and Sunday into two age groups. We welcome all children that have been to WordCamp Miami in previous years. We have new activities, especially for older ones. For children in this age group, the primary activities on the weekend will focus on an introduction to blogging (Saturday) and STEAM/STEM activities (Sunday). Younger kids will be building their own blogs and learning how to post content with WordPress. Parent will work with their child as he/she posts content on the web. Children will be able to add their stories, photos, and more with WordPress. Children and parents both are invited to see the WordCamp Miami annual Kid’s Panel on Sunday morning, with a full day of STEAM/STEM activities to follow. The activities are designed to be fun and educational. The Kid’s Camp on Sunday will be operated and supervised by certified teachers and volunteers with experience in STEAM/STEM education. We will be providing lunch for kids on Saturday and Sunday (taco bar likely on Sunday!) but we ask if your child has any unique diet needs to bring a backup lunch just in case. Exact menus will be posted on this page with all the information. Older young ones that perhaps already know about WordPress or blogging will be learning something unique – how to build their own store with WordPress. E-commerce is just getting more and more popular… by learning how to build a simple store with WordPress children will learn valuable coding and logic skills. This is a great gateway for kids to learn about design, coding, or marketing when it comes to websites! This is a day all about marketing! How to take the E-Commerce store and turn it, potentially, into a real business. We will cover how to design a marketing plan and different marketing sources to target. We will also install Analytics on our website from Saturday to ensure we know what marketing strategies are working. Tickets for Kids Camp is $7.50 for particpants, and $8.00 for parents (includes lunch). Children must be accompanied by a parent. Click here to purchase a ticket to Kids Camp.